Millions of Americans will travel our nation’s highways during the holidays to visit family and friends. With more vehicles on the road, the chances of being involved in a crash increase greatly. The Hamilton County Traffic Safety Partnership, a consortium of local law enforcement agencies, is joining law-enforcement agencies across the country to participate in the winter “Drive Sober or Get Pulled Over” enforcement mobilization going on now through Jan. 1. In addition, Indiana police are enforcing seat belt and speeding laws. Overtime patrols and equipment purchases are supported with National Highway Traffic Safety Administration funds distributed by the Indiana Criminal Justice Institute. NHTSA and ICJI recently purchased more than 2,600 portable breath test devices to assist 150 Indiana law-enforcement agencies in establishing probable cause when arresting drunk drivers. In every state, it is illegal to drive with a blood alcohol concentration (BAC) of .08 or higher. In Indiana, drivers under 21 with a BAC of .02 or higher are subject to fines and a license suspension for up to 1 year. •	Designate, or be, a sober driver. •	Call a cab or a ridesharing service. •	Download the SaferRide mobile app on the Android Play Store or the Apple iTunes Store. This app only has three options: call a taxi, call a friend, and identify your location for pickup. •	Celebrate at home or a place where you can stay until sober. •	Throwing a party? Offer non-alcoholic beverages and plenty of food. •	Never provide alcohol to minors. •	Ask young drivers about their plans. •	Friend or family member about to drive? Take the keys and make alternate arrangements. 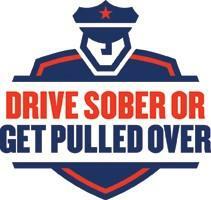 For more information about drunk driving visit http://on.IN.gov/drivesober and to learn about drug-impaired driving visit http://on.in.gov/drivehighDUI. Indiana has a primary seat-belt law, meaning that police officers may ticket unrestrained drivers or passengers, even if no other traffic violation has taken place. ICJI and the Purdue University Center for Road Safety estimate that about 93 percent of Hoosiers buckle up. But the small amount of drivers and passengers not wearing seat belts made up more than half of Indiana’s fatal crashes. Parents and caregivers who don’t buckle up are more likely to have unbuckled kids as adults set the example. Motor vehicle crashes are a leading and increasing cause of death for children age 14 and younger. In Indiana, all passengers under age 8 must be in an approved car seat or booster seat, and unrestrained children under 16 are the driver’s responsibility. 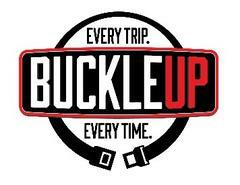 For more information about seat belts visit http://on.IN.gov/buckleup. Choose the safest car seat for your child’s height and weight at https://on.in.gov/therightseat. Find a certified car-seat safety technician to assist with installation at https://on.in.gov/child-seat-tech or through the SaferCar app on iTunes or Google Play.